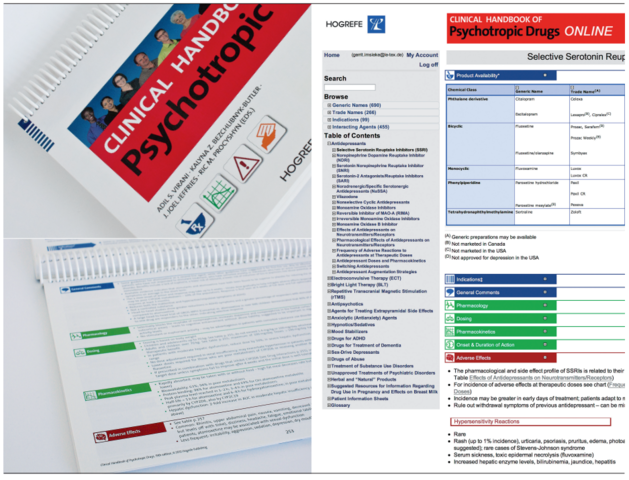 The “Clinical Handbook of Psychotropic Drugs” (CHPD) is a standard reference work on the North American market. In parallel with the printed version, the 19th edition has also been released as an online version for private individuals and institutions for the first time. The application, including the search function, can also be used in standalone form, which means it can also be distributed on other media and is suitable as a basis for apps.